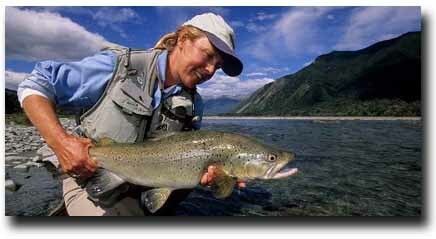 Judy Hall is the travel manager at Angler Adventures as well as our New Zealand expert. I asked her some questions about booking flights and got some interested answers. Evan: Judy, what’s the most common request you get from clients booking long haul flights, such as to New Zealand? Judy: What’s the best fare I can get on a first class ticket? Since the flights require overnight travel, nearly every client wants to fly Business Class or First Class to get the fully reclining “sleeper seats” and first or Business Class tickets can cost up to $14,000 per person. Evan: What do you recommend? Judy: I used to recommend the American Express Platinum 2 for 1 travel program exclusively because it was the best deal available. Now, there are a number of options, such as Excursion Fares or mileage programs. I research each of the options to seek out the best fares. It’s complicated and time consuming, but if I can save my clients thousands of dollars, it’s time well spent. Evan: Is there anything else people should know making these arrangements? Judy: Actually, I’d mention that this is a service we offer at no cost to our clients. After a phone call, I do all the legwork preparing the options, and then present the client with the best currently available fare. If they ok the flight option, I issue their tickets. It’s a time and money saving service that’s free! Looking for more information? Click here for more information on New Zealand Custom Itineraries, here for more information on why you should use a travel agent, or here for our recent newsletter on traveling to New Zealand.